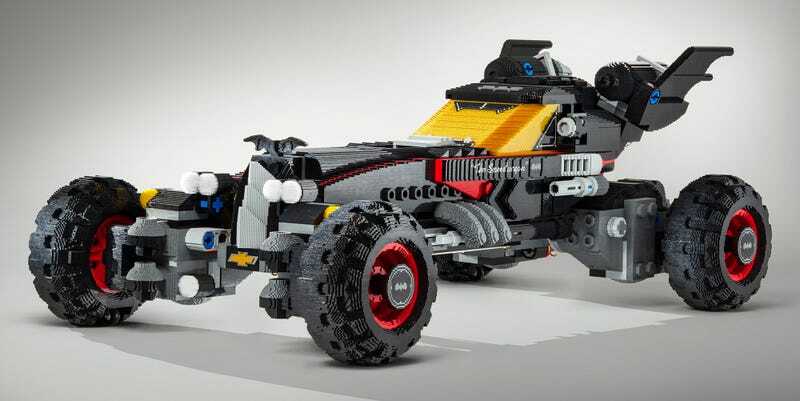 The Lego Batman Movie hits theaters in less than a month’s time, and to help ramp up the film’s marketing blitz, Lego teamed up with Chevrolet to build a life-sized version of the Dark Knight’s latest Batmobile out of mostly plastic bricks—some 344,187 of them to be exact. We never pegged Batman as a superhero who would let himself get caught up in corporate synergy, but apparently Bruce Wayne was more than eager to team up with Chevrolet to help with the 222-hour build required to bring this version of the Batmobile to life. 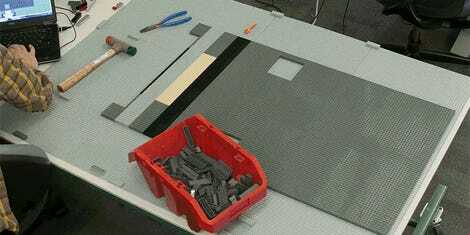 It’s incredibly detailed, and as much a work of art as it is yet another advertisement for Lego’s next movie. But the toymaker is missing a big opportunity by not turning this into an official set that fans can buy. It might be prohibitively expensive and way too big to fit on the shelf at Toys ‘R’ Us, but imagine the satisfaction of finally completing a set like this all by yourself, even if it takes years.